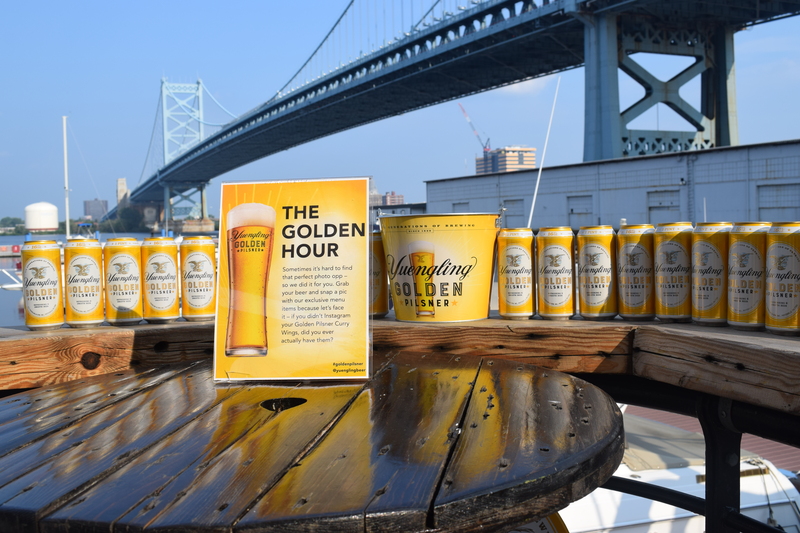 All summer long, we’ve celebrated the release of Golden Pilsner, our first year-round beer in 17 years and our first new product offering from the 6th generation of family brewing at Yuengling. We couldn’t think of a better way to wrap up the summer than with our loyal Philadelphia fans. 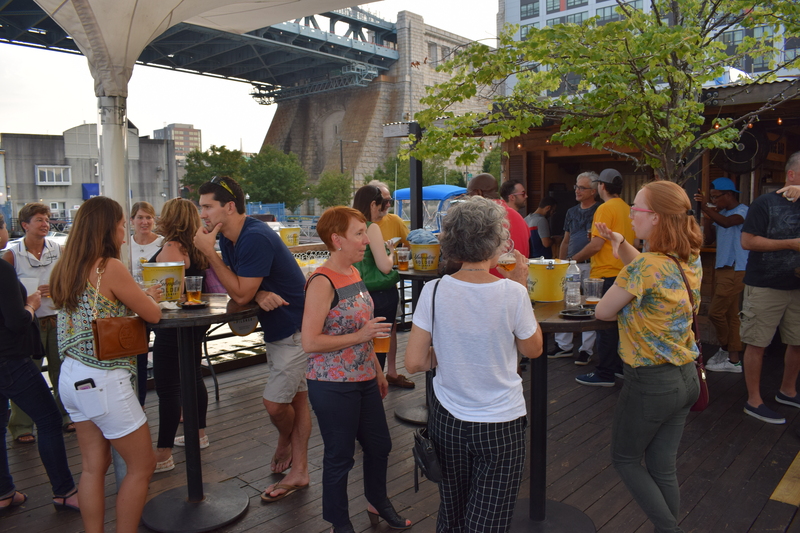 On August 16, we hosted the Golden Pilsner Philly Event to celebrate the release of the new brew in the City of Brotherly Love. 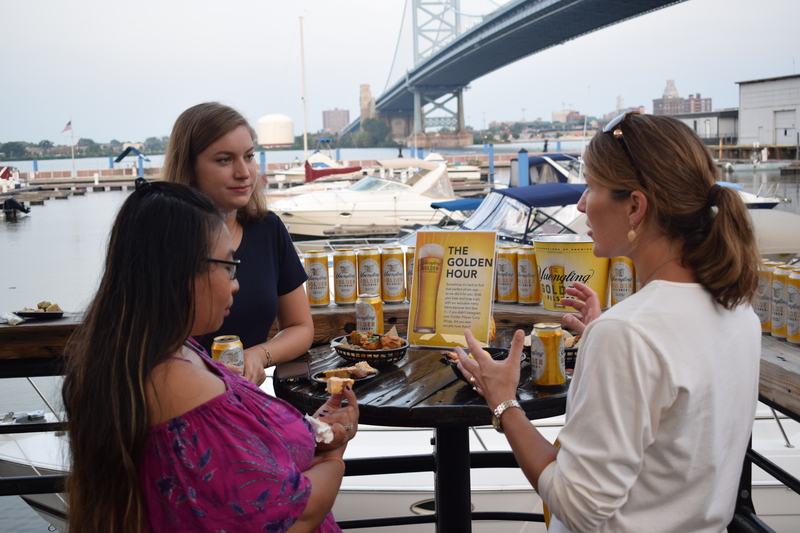 More than 30 media members, bloggers and social influencers experienced Golden Pilsner for the first time at Morgan’s Pier, one of Philadelphia’s most popular summertime hotspots. 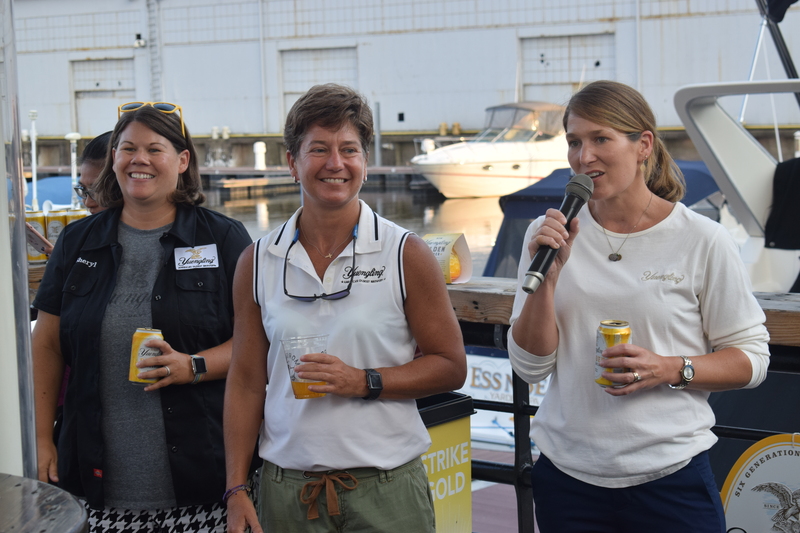 Attendees enjoyed an evening of refreshing beer, bites and a beautiful waterfront view. From social media-worthy photo opportunities to fun swag giveaways, we wanted to create a one-of-a-kind experience for our guests. We even created custom menu items including Chilled Golden Pilsner Poached Shrimp Cocktail, Chicken Wings with Golden Pilsner Curry Glaze, and Warm Pretzels with Golden Pilsner Malt Mustard and Lager Cheese Sauce. We’re so grateful to have had the opportunity to meet some loyal Yuengling consumers in-person. We’ve seen the immense value in connecting and listening to feedback – after all, that’s how Golden Pilsner was created! We’re excited Golden Pilsner will be available across our entire 22-state footprint by the end of 2018. To find out if it’s available in your area, check out our Beer Finder. We continue to look forward to hearing your thoughts on Facebook, Twitter or Instagram.